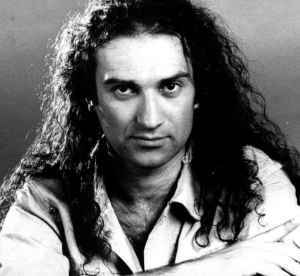 Octave on his real name Octavian Teodorescu (born January 29, 1963) is a Romanian vanguardist musician, composer, orchestrator, songwriter, music producer, performer, instrumentist (guitars, keyboards, programmable instruments) from Bucharest, Romania. He withdrew from the "scene" in '99 and nobody knows anything about the artist. Last Octave official interview was titled: "His music begins where the words end." Pioneer of Electronic Sound and using of the computers and synthesizers in music in Romania, ardent supporter of the Romanian Rock Movement, promoter of the early Internet Multimedia Phenomenon and its implications as medium in music. His music is identified as a unique Electronic Symphonic Rock synthesis with multiple nuances from AOR till Progress presented in a homogeneous extreme processed and complex form with Science Fiction futuristic touch. His first mainstream success was the 1992 album "The Secret Of Pyramids", part of a trilogy which also include 1993 "At The Gates Of Love" and 1994 "Sweet Freedom". The whole Work (102 minutes) appears unified on a double CD (the first of this kind in Romania) in 1995. It follows 1996 "They Used To Call Him The Dreamer" an Album wich was concepted (like novelty for its time) exclusively using computers and synthesizers. He was the first romanian artist who believed in Computer like Musicinstrument and its facilities to promote music online (1996), the first one who released a Multimedia CD-ROM and and an Internet Project named "Free Music Online" in 1998. He was also the first one in Romania who imposed with succes a instrumental music style like mainstream despite of the non standard commercial format.